Barbie and Ken are about to get married today! 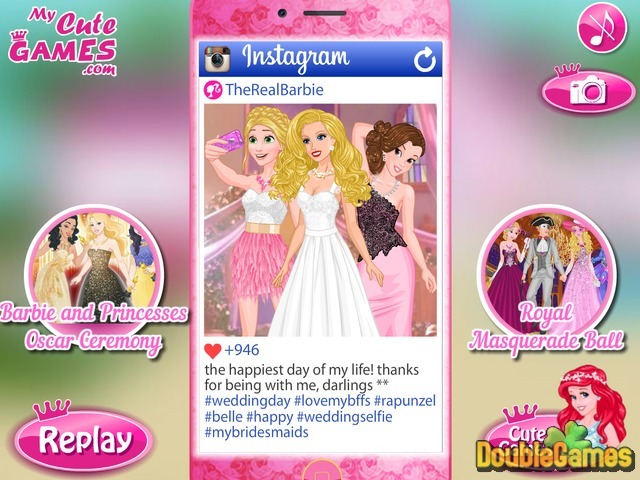 Barbie’s best friends Belle and Rapunzel are going to be her bridesmaids. 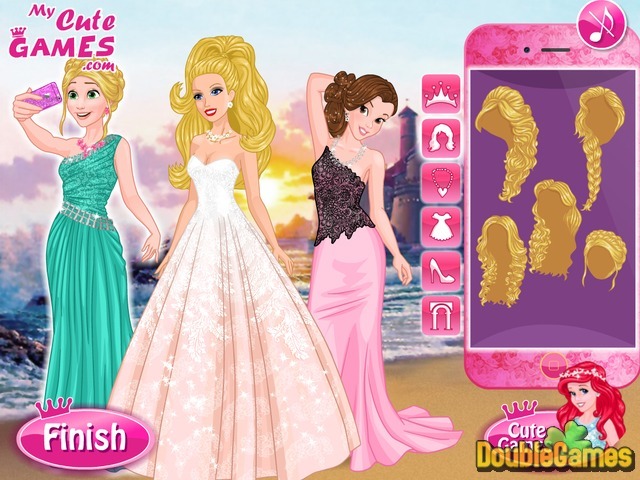 Play new free online game Barbie's Wedding Selfie and Dress Barbie is a stunning wedding gown and give princesses gorgeous bridesmaid looks. After that you have to take a selfie on Rapunzel’s iPhone and then post it on Barbie’s Instagram. See how many likes your picture will get. Have a lot of fun! 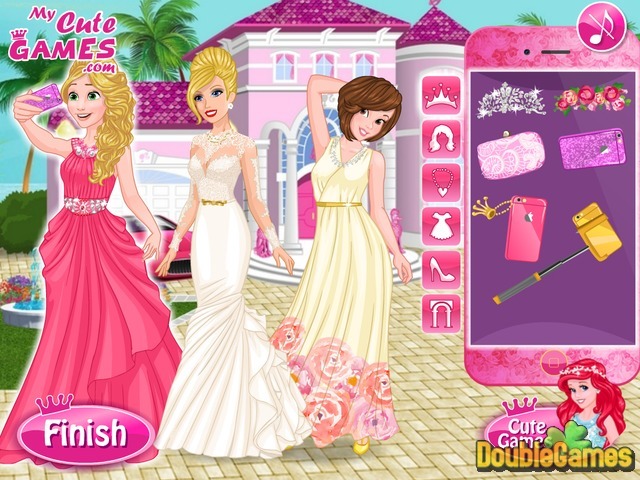 Title - Barbie's Wedding Selfie Online Game Description - Obtain Barbie's Wedding Selfie, a Time Management game built up by My Cute Games. Barbie and Ken are getting married today! She and her braidsmainds need to look gorgeous.